The Little House of Concrete Bookshelves: Steve Almond "Rock and Roll Will Save Your Life"
I suppose in a different generation and a more promising geographic location I, too, could have been a Drooling Fanatic. By author Almond's definition DFs mourn their failure to make it as rock stars or one-hit wonders or near-misses or bar bands or wedding bands or KISS cover bands or midget KISS cover bands which explains the different generation remark. It didn't take me long to realise anything approaching rock star status was out of the question, whereas a decent collection of music could help get me into slightly hipper circles than would otherwise have been the case. I was way too early for Kiss, who struck me as a formulaic quest for a section of the demographic that was at least a decade behind my back. While you could see where they were coming from, it wasn't territory you really wanted to revisit. On the other hand, wannabes, geeks, professional worshippers ... who acquire albums compulsively … and cannot resist telling other people sounds awfully familiar. Some personality traits exist beyond musical generations. 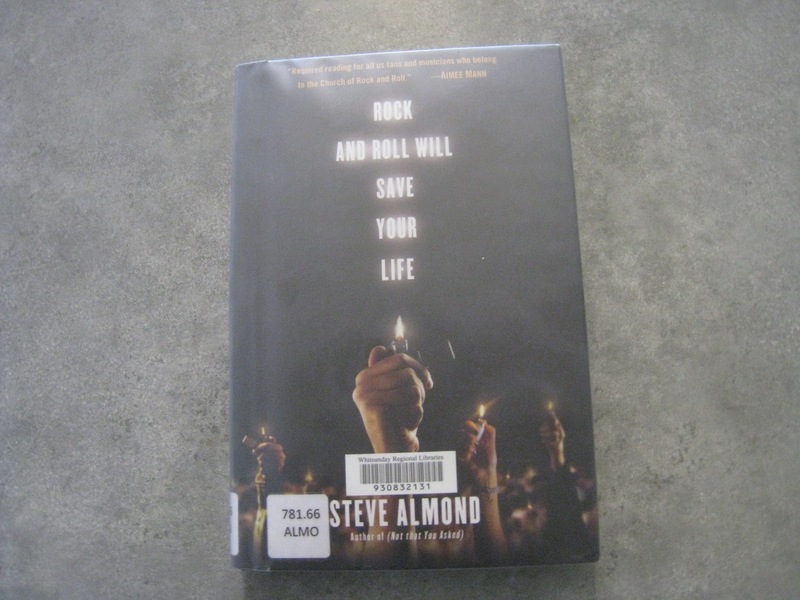 Almond's DFs, in other words, equate reasonably closely to Hughesy's music freaks, and a glance through the contents when I spotted this title on the shelves in the local library suggested a read that might fit in with some aspects of my writing projects. As things panned out, given that generational shift (Almond fits into the circa-Nirvana grunge scene the way I fitted into the classic expressions of late sixties experimentation) there wasn't much that fitted in with the projects, though there was plenty of familiar territory. A career in journalism and a spell teaching writing means we're talking a bloke who writes well, delivers his points with verve and gusto (well he would, wouldn't he? He's a music freak writing about his obsession) and the result is an entertaining read that demonstrates the music freak isn't going to be disappearing off the face of the Earth any time soon. He seems to suggest that we're all, potentially, Drooling Fanatics, a proposition Hughesy's inclined to discount, but that's probably the geography and demographic I've been associating with over the past forty years. Almond, on the other hand, thanks to journo spells in El Paso and Miami and exposure to live music scenes where people I've never heard of can manage to carve out an almost viable musical career while still flying under the radar of mass recognition has plenty of first person experiences that fit into the Drooling Fanatic side of things. Looking at it, he was probably in the right place to get hit badly by the music bug in areas far enough from the big time to leave him free to explore local music in between visits by passing megastars, though he manages to get a couple of newspaper paid gigs to cover the Grammys and similar exercises you and I might see as junkets but working journos know are located in an adjacent postcode to Purgatory. An interesting read that had me rolling over to the iTunes store to check out a few of the lower profile acts he name-checked and enthused over without having the investigation move too much further than an Oh, yeah, this Ike Reilly dude's got a few albums out and a click on the sound samples that sounded like things I've heard before somewhere without paying it all that much attention. A glance at the eleven tracks on Nil Lara didn't suggest anything out of the pleasantly Latin, so it's probably a case of you really needed to be there at the time. Exposure to an abundant supply of strong drink would, of course, have helped. Almond probably wouldn't have got a lot out of the equivalents in these parts (Kieran McCarthy springs to mind here). On the other hand, his lists, starting from Bands Shamelessly Overexposed by the 'Alternative' Press through Ten Things You Can Say to Piss Off a Music Critic, Rock's Biggest Assholes and The Many Silly Names of Rock Star Spawn may not be serious, but are entertaining reads. Sort of like the sixty-year-old fan tucked away in the wilds of north Queensland, innit? An interesting read. As noted, your reaction is going to reflect your own experience, though that’s hardly a surprising conclusion.